If you are developing a new building or estate (whether leasehold or freehold), we have a proven structure from the early planning stages through to completion. From the early stages of the development we will make recommendations on items such as refuse disposal, security requirements, car park planning and even bicycle storage. We remain in touch with the latest environmental and sustainable housing solutions and understand the impact it can have on the future management of the scheme. We will prepare detailed service charge budgets, a full management proposal and residents welcome pack which will be issued to your sales office and conveyance team to aid sales progression. Our in-house legal team can provide advice on the most appropriate form of Lease and / or transfer document and incorporate a bespoke management company (if required). Once the sales process has begun we will be on hand to deal with prospective buyers and their enquiries in relation to the service charge budget, the future estate management and other related matters. Upon completion of the development our nominated Estate Manager will ensure a smooth handover and hold an introductory residents welcome meeting. Thereafter the residents will enjoy our comprehensive, professional and proactive management. Review drawings and provide advice. Assist with planning application enquiries and related matters. Create a cost effective and attractive service charge estimate. Calculate buildings insurance values and offer competitive insurance premiums. Prepare management proposal for prospective purchaser enquiries. Prepare management agreement with service level agreement for signature. Review proposed lease agreement / transfer document template. Create residents management company (if applicable). Supply solicitor with appropriate documentation and service charge bank account information. Provide offer to buy freehold upon completion of all units (if required by client). Liaise with developer staff regarding best time for the assumption of management responsibility. Visit sales office and introduce Estate Manager to sales team and answer any questions. Provide management proposal packs for prospective purchase enquiries. Answer any questions from prospective purchasers before and after exchange of contracts. Ensure successful handover of site to the Estate Manager. Hold residents meeting to introduce ongoing management team. Complete freehold transfer (if applicable). Provide internet logon details for all residents to access Pathway. Ensure service charges and ground rent are invoiced appropriately. Hold regular residents meetings to provide updates and receive feedback. Ensure compliance with all legislation. Maintain strict accounting practices and financial reporting for residents. 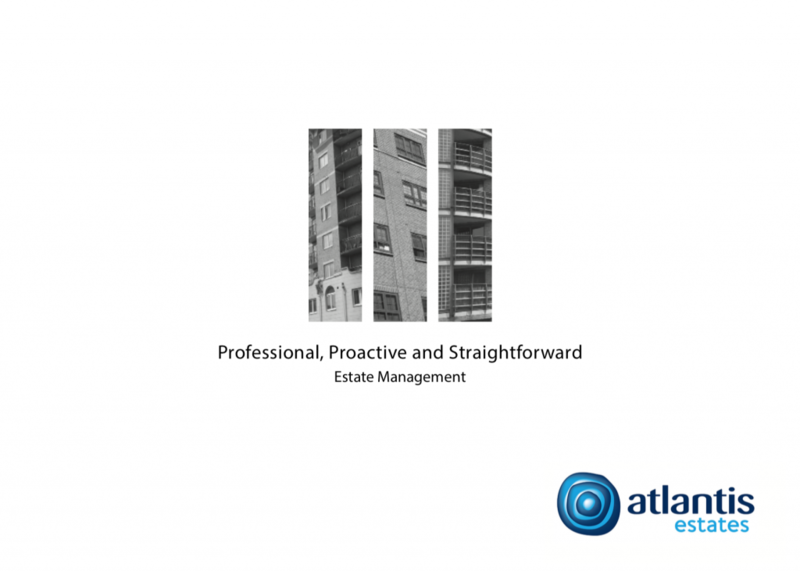 Implement quality and cost effective contractors for successful estate management. Implement long term pro-active maintenance e.g. redecoration.